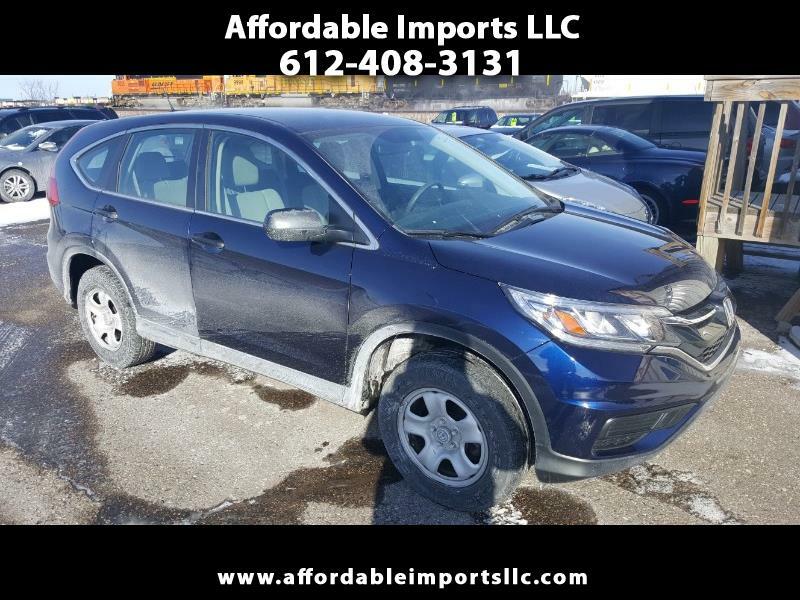 2015 Honda CR-V LX 4WD five-passenger Honda CR-V crossover SUV comes with everything that you'll need to make your commute or tackle large, winding roads on your way to that next camping adventure. All-powered accessories, backup camera, 60/40-split-folding and reclining rear seat, Bluetooth/iPod/USB integration and a four-speaker sound system, powered side mirrors. A capable 2.4-liter four-cylinder engine powers the CR-V. Accident History. Prior Salvage Title. We've got financing available, super convenient with immediate delivery for those who qualify..FOR ADDITIONAL INFORMATION OR TO MAKE APPOINTMENT CALL 612 408-3131. 7751 Hwy 10 w #8 Ramsey MN 55303.